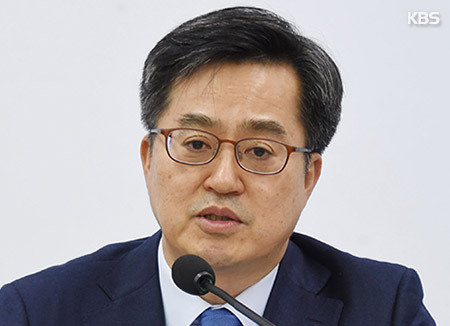 Finance Minister Kim Dong-yeon says the government is reviewing various scenarios regarding inter-Korean economic cooperation and how they can be funded. Kim spoke on the matter during a press conference at the government complex in Sejong City on Wednesday, saying he welcomes the two Koreas being able to reach an agreement on some economic cooperation measures, although they were initially not part of the summit between President Moon Jae-in and North Korean leader Kim Jong-un. He said the government will work hard to faithfully implement the Panmunjeom Declaration and produce visible results. Noting the declaration is a first important step to peace and prosperity for the Korean Peninsula, Kim said the quality of life for the people will be enhanced if the two Koreas are able to share their personnel and material resources and if consumption and investment are increased. 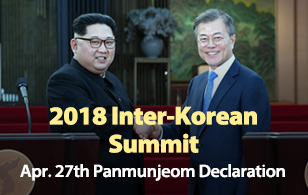 In the landmark agreement reached on Friday, South and North Korea said they would actively implement economic projects agreed upon during the previous inter-Korean summit in 2007, and take steps to connect and modernize the railways and roads on the east coast as well as between Seoul and Sinuiju.